Auto loan delinquency rates in the US are rising and lenders are eager for answers. ACH payments are an obvious intervention area. So why are ACH authorization rates still so low? Since 2013, the number of auto loans that are more than 90 days in arrears increased by 77.7% to a total of $22.56 billion. One way to combat this is to encourage borrowers to set up automated payments such as ACH payments. With ACH, borrowers are less likely to miss a payment – either because of simple forgetfulness or because of cash flow issues. As a matter of fact, ACH payments have proven to reduce delinquency by 80%. Although many borrowers set up recurring loan payments on their credit cards, low-credit customers often don’t qualify for one, making them more likely to miss a payment. Since delinquent loans among sub-prime customers have risen by 33% since 2015, lenders are eager to encourage these borrowers to set up ACH automated payments to try to combat this risk. Customers are generally willing to oblige, but the process is so time-consuming and high-friction that fewer than 40% end up doing so. Here are 4 reasons why ACH payment authorization rates are low and how to improve. When it comes to taking out a car loan, borrowers find the entire process to be a source of stress. It’s an experience that comes with a great deal of paperwork, involves a number of decisions that are frequently made under time pressure, and concerns quite large sums of money, so it’s not surprising that only 20% of consumers feel confident when it comes to buying a car. On top of this, the process of getting auto loan financing is long and tiresome. It takes most auto loan customers 5 touchpoints to complete their loan, as they are passed from one agent to another and transferred between the origination and loan collection departments. Customers want to be able to access an auto loan, but they feel trapped by the long and complicated application forms and the difficulty in accessing consistent customer service. 80% of car loan applications are abandoned before they are approved, and that’s for a service that customers have spent time researching and have a good reason to want to complete. Authorizing ACH payments adds another layer of hassle and frustration onto an already difficult experience. ACH payments are appealing for customers as well as for lenders. Borrowers appreciate that automated payments take one more item off their “to-do” list and reduce the monthly stress of remembering to make a payment on time. In general, recurring payments lower loan delinquency rates by at least 50% when compared with non-recurring payment options, reducing frustration for both customers and for lenders. Borrowers are also willing to sign up for ACH payments in order to take advantage of lender discounts. Many auto loan providers offer “rewards” for customers who pay using automated or recurring payments, usually in the form of a discount on the current interest rates. Typically, lenders provide discounts of 0.25% off auto loan interest rates, but this can sometimes stretch to 0.5% or even 1%. Looking at today’s typical process for signing up to ACH payments, it’s not surprising that customer uptake is so low. To apply for and authorize automated ACH payments, the customer has to complete yet another long and complicated form, usually providing detailed personal and financial information that they already submitted to apply for financing. Manual data entry tends to cause a high rate of errors and omissions, increasing the chances that forms will be sent back for correction. Borrowers who have suffered through several attempts to complete a loan application are even more likely to give up and abandon their ACH application at this point. The forms are frequently not editable online, so they have to be downloaded, completed, and then uploaded again for submission via email. Documents that require a signature need to be printed and then scanned back in, and sometimes customers are required to install special a digital signature app. Having to replicate the effort already put in to apply for financing, plus the frustration of rework on incomplete forms and the friction of multiple touchpoints cumulates in the understandable abandonment of over 50% of all ACH payment applications. Swamped by the demands of daily life, borrowers lose interest. Today, simplified digital tools offer lenders a way to reduce customer friction and increase ACH adoption by as much as 100%. By enabling customers and lenders to complete ACH documentation in the moment via their cell phone, lenders have seen a spike in ACH authorization. A simplified form that uses smart data-integrity solutions reduces errors and omissions by pre-filling fields with data that is already in the lender system. These solutions decrease rework by 80%. Simplified, prefilled forms also lessen customer frustration. A shared platform that allows the loan agent and customer to collaborate on an editable form. For example, a customer is far more likely to spot an incorrect birth date if it is entered as they watch. 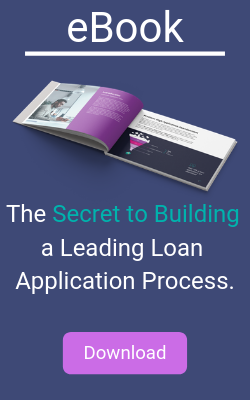 Real time cooperation and communication also allows the loan agent to provide encouragement and guidance to the customer all the way through the application and authorization process, thereby reducing abandonment. Enabling customers to complete it simply from their cellular phone in ways that they’re already accustomed. Simple signing forms by finger swipe, borrowers can easily meet regulatory requirements. When the application process is fully optimized for mobile, customers can complete it on a single channel, reducing touchpoints and friction. Although ACH adoption rates are distressingly low, both customers and lenders want to see them rise. Changing the process of ACH authorization by simplifying forms, optimizing applications for mobile, enabling loan agents and customers to collaborate in real time, and taking advantage of advanced digital tools holds out the possibility of decreasing ACH application abandonment, raising ACH adoption, and reducing loan delinquency to improve lenders’ ROI.